Little Autumn lost her mom at a really young age and wasn’t doing so well. A nice couple took her in when she was only 2 weeks old and raised her with a bottle and a lot of TLC but due to extenuating circumstances couldn’t keep her. 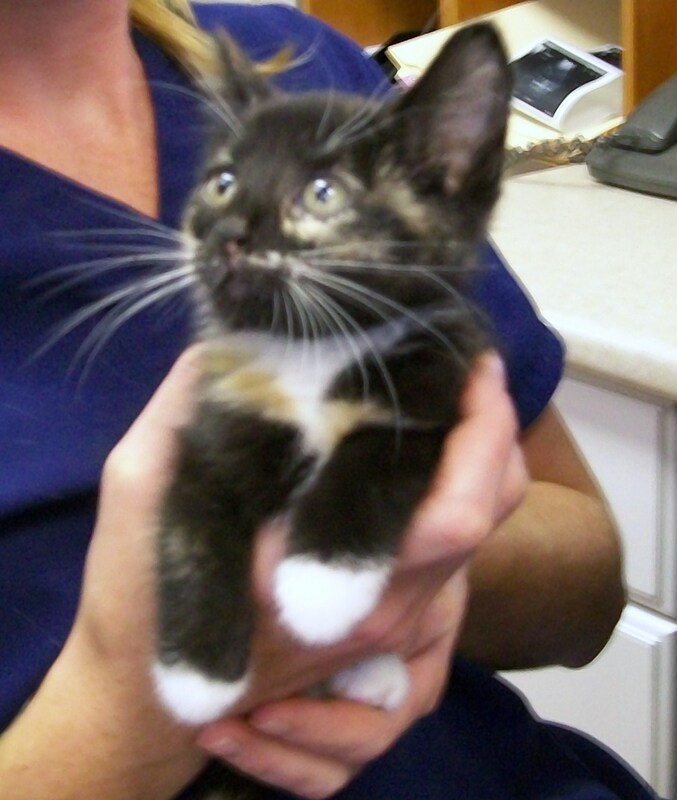 She came to us as an underweight 6 week old who seemed to not have a lot of energy. Within a couple of hours one of our co-op students was asking her family if she could bring autumn home as a foster for the weekend. Autumn is now more than a foster as it didn’t take her long to wiggle her way into the hearts of everyone she meets. 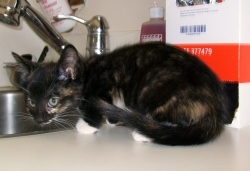 With good nutrition she has already gained a little bit of weight and is acting like a regular rambunctious kitten. Congratulations to Autumns new family.